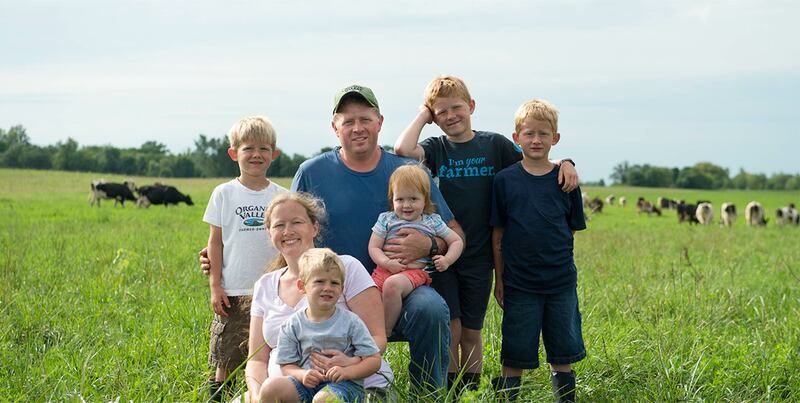 We're all about our farmers, and whenever possible, we want you to know exactly where your food comes from. 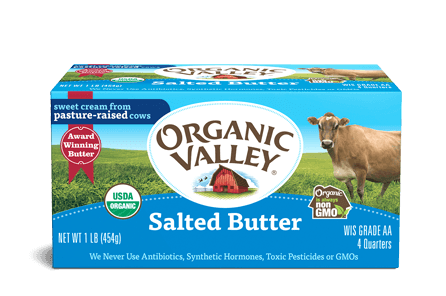 Our labels tell you just that. 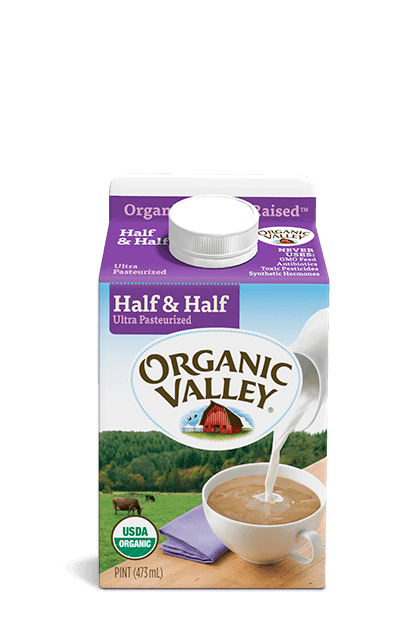 We use two types of half gallon containers to keep our milk fresh in stores and after you take it home. 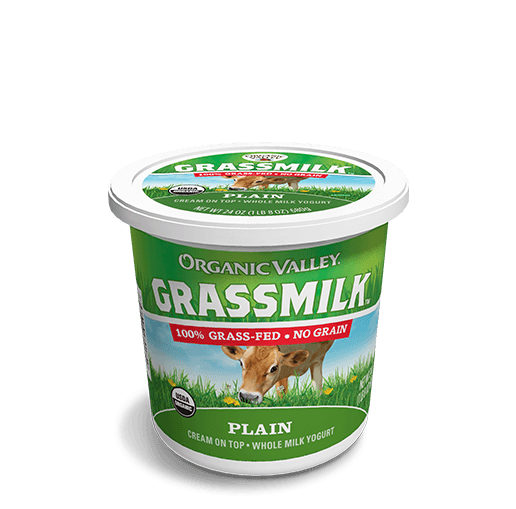 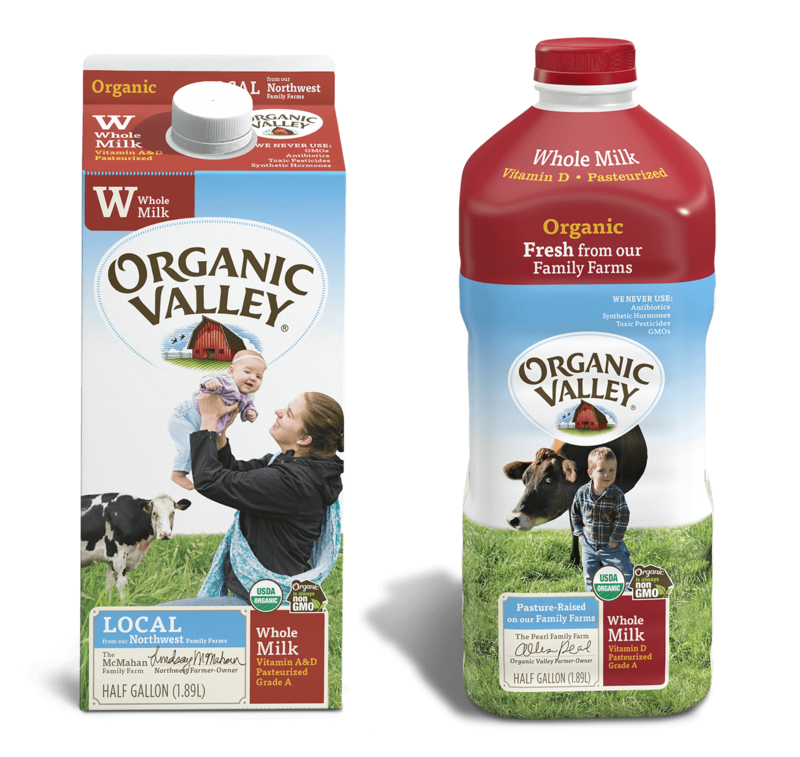 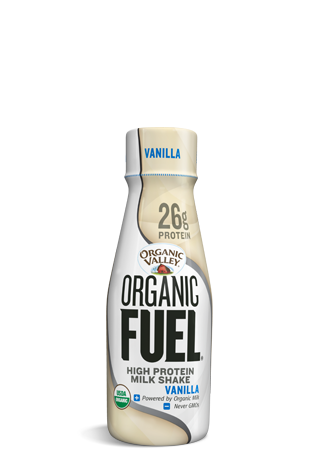 Depending on where you shop, you may see our milk in our original carton or easy-grab bottle on local store shelves. 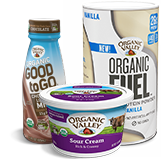 Both are BPA-free, easily recyclable and feature the same delicious milk. 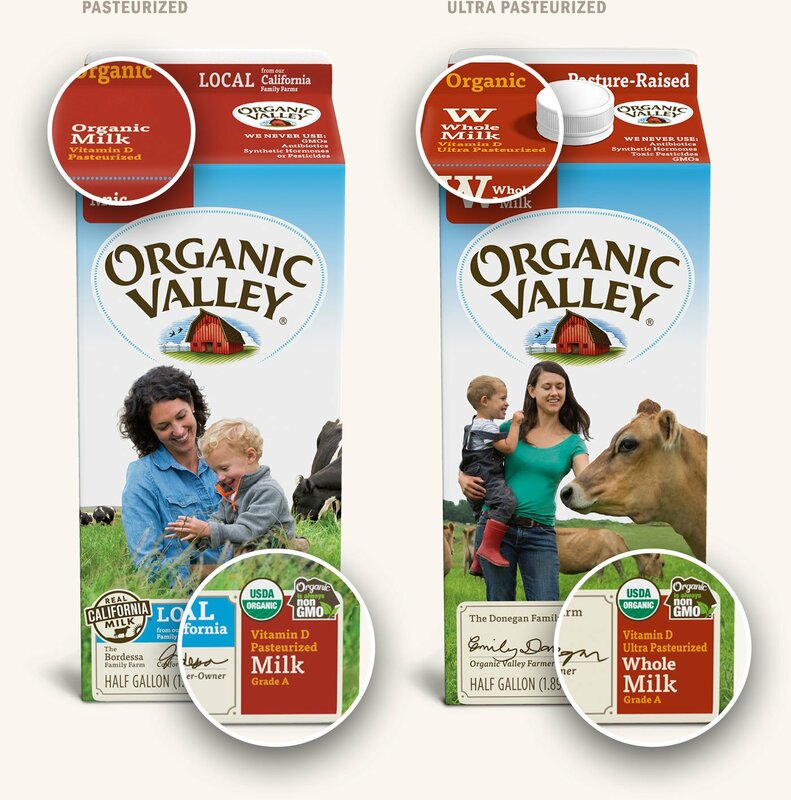 On our nationally branded milk, you’ll find the signature of the farmer on the carton. 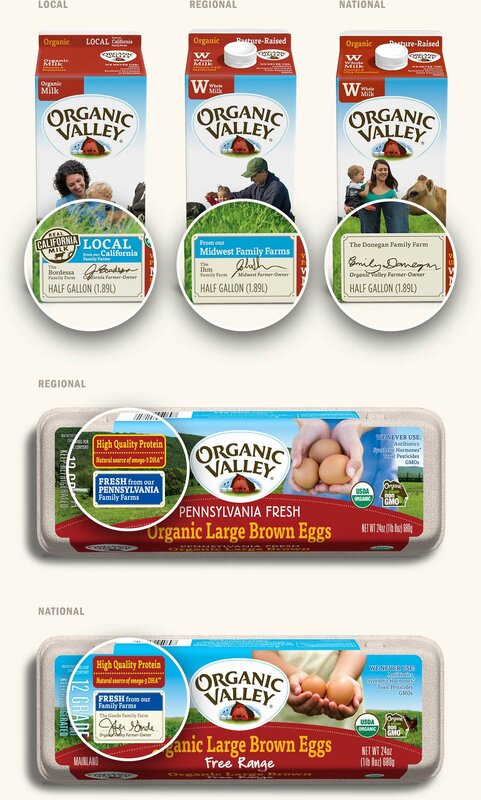 Our regionally branded products include a colored regional label. 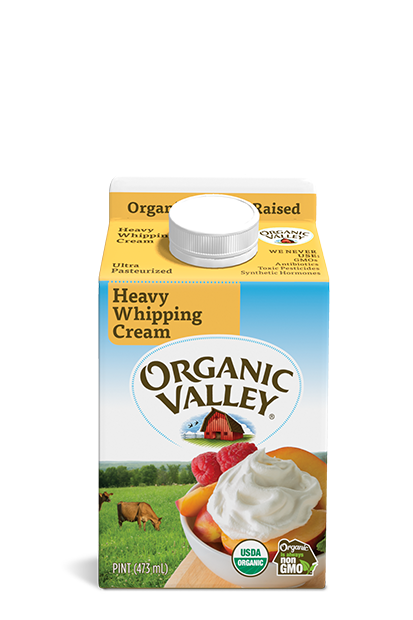 And our locally branded milk has the signature, the colored label and the word “LOCAL” so you know that your milk came from just down the road. 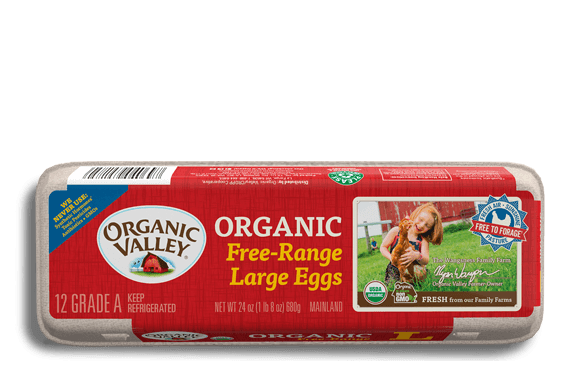 Our packaging is intended to do more than keep your food fresh. 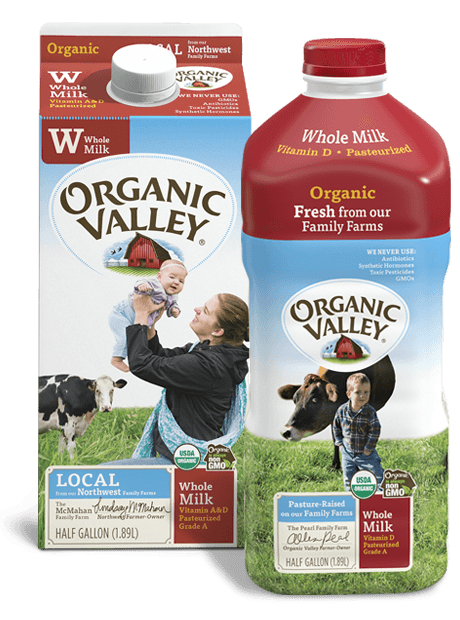 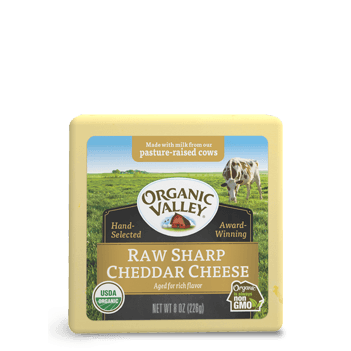 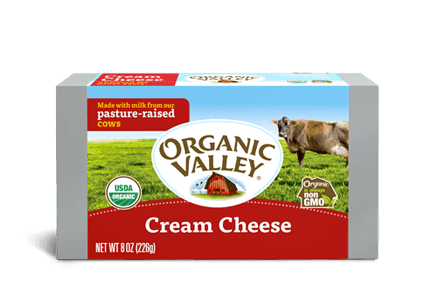 When you pick up an Organic Valley product, we want you to remember that there’s a family farm on the other end.